So we received free Ciao Bella Gelato to try, and I have to say we are in LOVE! The flavors are all extremely crisp and its a soft gelato so its easy to scoop right out of the containers. The flavors we tried were Barlet Pear Hibiscus, Dark Cocoa, and Alba Hazelnut Caffe. The barlet pear hibiscus was sweet with tropical undertones, its deep purple color lending itself to the hibiscus syrup that’s used to both sweeten and flavor the ice creams. With a total of 130 calories per serving this is a pretty delicious option that’s not going to ruin your diet or your waistline. The dark cocoa uses . chocolate extract and cocoa liquor as its flavoring and tastes exactly like a dark cocoa bar,with out the extreme sweetness attached, this would go perfectly with a glass of red wine. The dark cocoa has 170 calories and is dairy free making this also a VEGAN option! This was my favorite flavor out of the ones we tried Alba Hazelnut Caffe, it tastes JUST like a hazel nut cappuccino from your favorite coffee bar and is delishious! I could seriously eat this one all day long if I wasn’t worried about staying in shape! This is an amazing flavor! Though this is the most calorie laden delite at 250 calories per serving. But its so worth EVERY calorie! These gelatos are amazing and well worth every delicious bite you take of them, so go fourth and have a bite or two! When It comes to Valentines Day I love being overwhelmed by all the treats and candies, but not looking forward to the amount of sugar that I consume or how much my kids are consuming and with having a diabetic in the house and to be fair I try to keep candy purchases to a minimum, But with Yum Earth Organic Treats I can indulge my cravings for something sweet with out being bogged with sugar. For instance a whole bag of 30 Valentine Organic pops only have 17g of Sugar compared to most others that is not very much and best of all they are made with real Fruit extracts ,%100 Natural Flavors and Vitamin C, With mouth watering flavors in Pomegranate Pucker , Wet-Face Watermelon, Strawberry Smash ,Googly Grape, Very Very Cherry We enjoyed all the flavors although we are a bit biased on the Grape and Strawberry flavored ones. The Yum Earth Valentines Lollipops come with their very own fun personalizable Valentine Stickers , Enter to win your very own bag. 1/06/15 Back to School #Christmasbreakisover Happy Happy Joy Joy! Are you watching for the game or just the commercials? . I’m 25/75 I will watch the game but have a more interest in the commercials. My team is not playing (again) . I am how ever looking forward to the spread of food that will be made and yes I will be making my Italian Spicy wings. 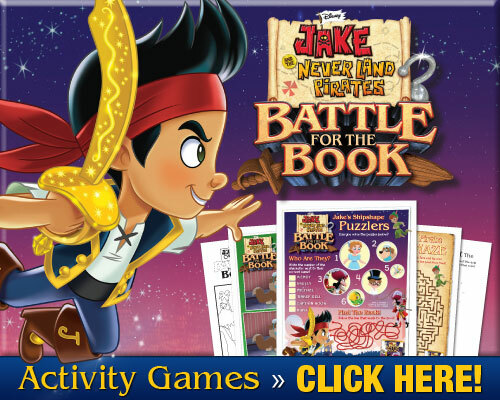 JAKE AND THE NEVERLAND PIRATES: BATTLE FOR THE BOOK as it arrives on Disney DVD January 6th! *Disclaimer * Glitter Ball Life Style has not been compensated for any of these, unless otherwise stated.